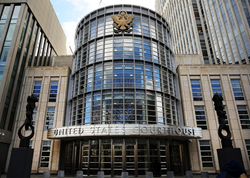 A federal jury of the Eastern District of New York has acquitted Fabio Gasperini of all the cybercrime felony charges against him. Official sources confirmed that this was the first ever “click fraud” case to proceed to trial in the United States. According to court documents, Gasperini, a 34-year old resident of Rome, Italy, was arrested in the Netherlands last June 18, 2016, and later extradited to the United States. The indictment charged Gasperini with two counts of aggravated Computer Intrusion, Wire Fraud Conspiracy, Wire Fraud, and Money Laundering. If convicted of all counts of the indictment, Gasperini faced up to 70 years in prison. Gasperini was represented by Simone Bertollini, an Italian American attorney. Court filings show that, at the arraignment, held on April 24, 2017, Bertollini had requested a speedy trial, which the Court set to July 24, 2017. Gasperini’s attorney had also requested Gasperini’s release on bail, which the District Judge denied. Gasperini later appealed his custody determination to the Second Circuit, without success. In the two weeks of trial, prosecutors called over 20 witnesses and cybersecurity experts, including the Director of the Internet Storm Center. Prosecutors attempted to prove that Gasperini created and controlled an army of 150,000 computers around the world to run an auto-click scheme that defrauded online advertisers. During trial, Bertollini worked to undo testimony from expert witnesses, advertising executives, FBI investigators and business owners called by the government. A large part of the evidence introduced at trial consisted of emails sent and received by Gasperini. Before trial, Bertollini had sought to suppress the emails, arguing that they were seized through to an extraterritorial application of the Storage Communication Act. Last year, the U.S. Court of Appeals for the Second Circuit decided—in the famous Microsoft case—that the SCA does not apply outside the United States. Another substantial part of evidence introduced at trial consisted of screenshots from the “Internet Archive”, also known as the “WayBack Machine”. Bertollini had sought suppression of the screenshots, arguing that they cannot be used against a defendant in a criminal case. During closing arguments, Bertollini disputed the narrative of events given by the prosecutors. Bertollini said the government had presented no substantial evidence, and only independent theories that did not connect. He pointed out that none of the experts who testified had seen the actual botnet, all the evidence presented was circumstantial, and never led back to his client. Bertollini also wondered aloud how Gasperini could be convicted of conspiracy, when there were no co-defendants charged in the case. On August 4, 2017, after two days of deliberation, the jury returned a “not guilty” verdict on all the felony charges. The jury found Gasperini guilty of one misdemeanor count of Computer Intrusion, which carries a maximum statutory penalty of one year. The verdict was a big surprise for many cybersecurity experts that have been closely watching the case. Today, five days after the jury verdict, the District Court sentenced Gasperini to 12 months in prison, a $100,000 fine, and 12 months of supervised release. Experts confirmed that no one before had been given such an extreme sentence on a misdemeanor computer intrusion charge. Bertollini defined the sentence as “unconscionable”, and indicated that an appeal to the Second Circuit has already been filed. Gasperini is expected to be returned to Italy within days, as his 13-month pretrial detention will be credited against today’s sentence. The case is USA v. Gasperini, case number 1:16-cr-00441, in the U.S. District Court for the Eastern District of New York.